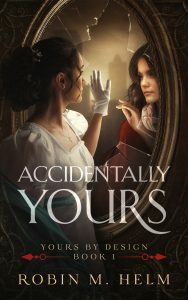 In Accidentally Yours, Book 1 of the Yours by Design time swap Christian fantasy romance series, worlds collide and time shifts when two men fall in love with the same woman. Robin Helm’s time revolves around music as she plays and teaches. Her books reflect that love, as well as her fascination with the paranormal and science fiction. Her works include Understanding Elizabeth (Darcy must decide how much he’s willing to pay to have what he wants), The Guardian Trilogy (Darcy is Elizabeth’s guardian angel), and the Yours by Design series (Fitzwilliam Darcy switches places in time with his descendant, Will Darcy). Mrs. Helm is also featured in a series of anthologies with several other like-minded authors. A Very Austen Christmas has been a Best Seller on Amazon in several categories, as well as an award winner. A Very Austen Romance, the second anthology, will be released in late December, 2018. A third anthology, A Very Austen Romance is being planned for December 2019.